This is our boy "Moose", a stunning light blue dog with excellent bone, substance and style. 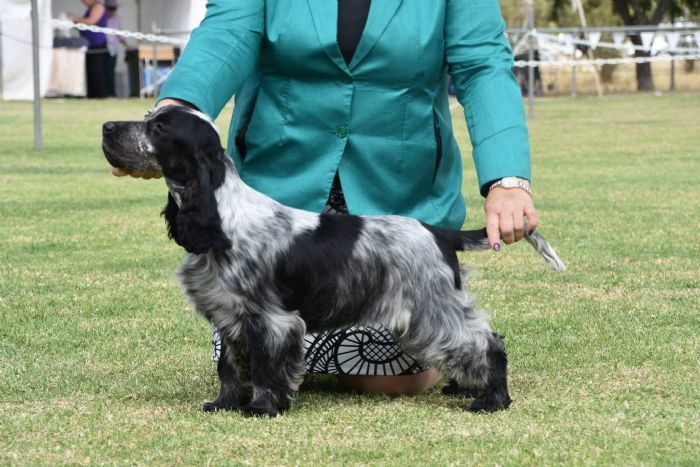 He is a very sound young dog with beautiful movement front and rear. 1 RESERVE CC SPECIALTY AT 7 MONTHS OF AGE!!! 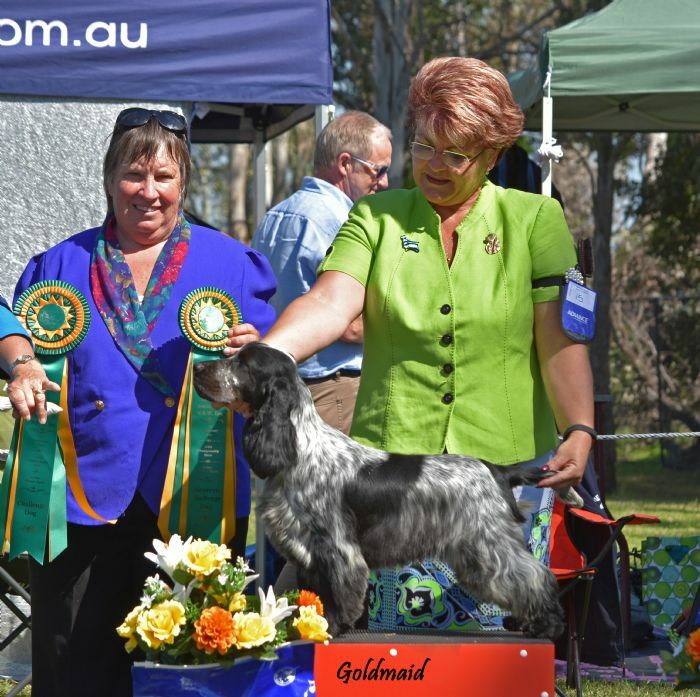 "First Place Exhibit 15: Braycharm Supernatural (A F Bray) 7 month old blue roan dog, good body proportions, well balanced head, good mouth, lovely ear set, good front letting down to thick feet, good body length, well ribbed back, sound mover, good tail set. Reserve Challenge – one with a big future l feel." Beautiful Blue Roan dog, very well developed for his age, lovely head, beautiful body, excellent angulations. Needs time to settle in movement. Lovely coat and condition." 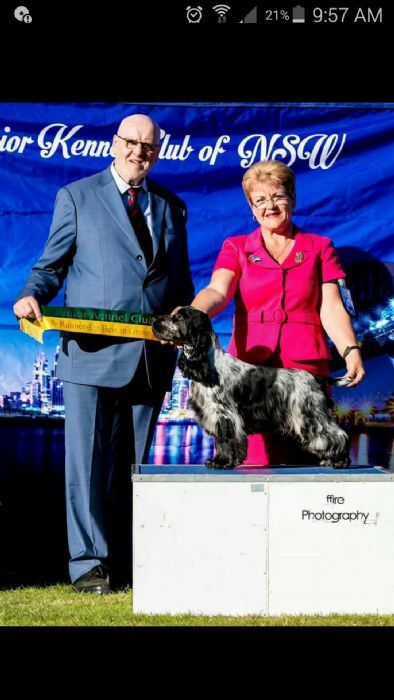 "SECOND PLACE - CH BRAYCHARM SUPERNATURAL - Another quality blue male. Correct in head,eye and expression. Typical construction with good front and rear action. Moved well and presented in good order"